Have you visited the CTMH FB page? They posted a quick and simple technique using a sponge dauber in ink to make a random polka dot background. Check out the video HERE. I decided to do the same but use my sponge dauber using the heat embossing technique. I used the same technique in the video however traded the ink for VersaMark and silver embossing powder. First you want to dab your sponge in VersaMark and make your random dots on your card. Then liberally sprinkle the card with the silver embossing powder. Use your craft heater to heat emboss the dots. There you have it so simple!! 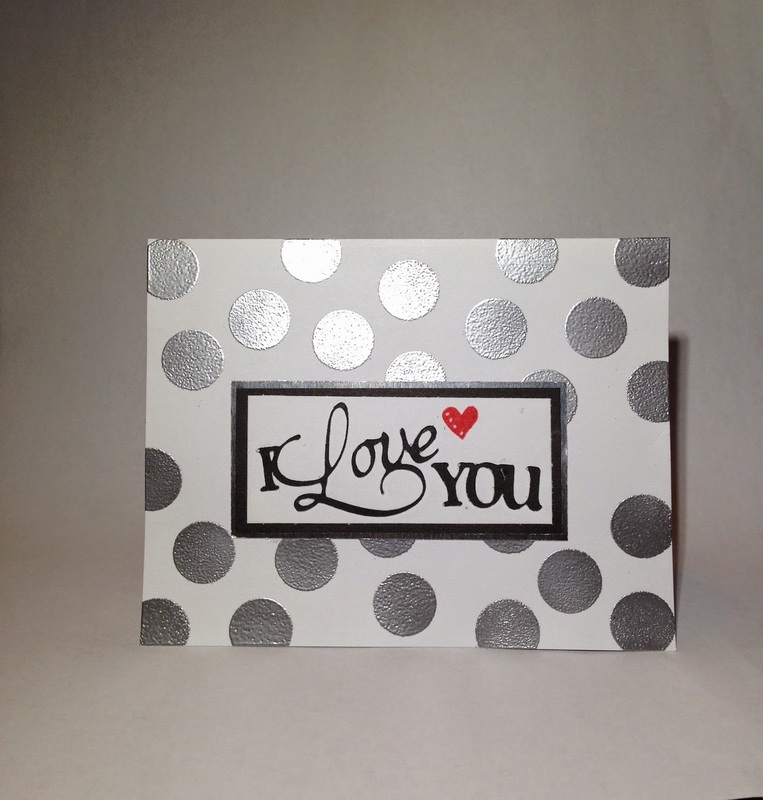 I used the Artiste cricut cart for the sentiment and the stamped heart is from the "You're The Bomb" stamp set. Just lovely!! Thanks for stopping by! Happy Crafting!! SHOP WITH ME HERE! "She Art".....She Did That with CTMH Products! !